The current era in B-town has star kids ruling over, and with promising debuts of Janhvi Kapoor and Sara Ali Khan, many young guns belonging to the film family are in the queue to join this brigade. One such star kid's debut, which is highly-awaited by the audience, is Aryan Khan. The handsome hunk, eldest son of Shah Rukh Khan was looked upon to fit into his father's boots. However, daddy dearest always maintained that his children are free to opt for any profession they like. 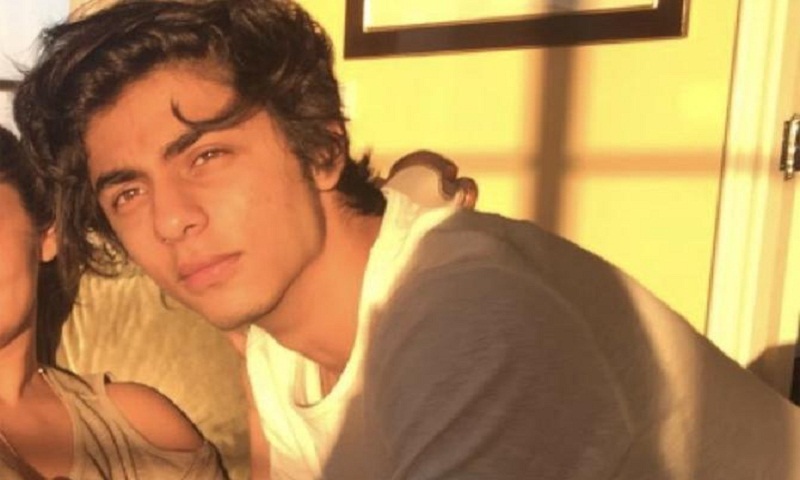 Clearing the air about Aryan Khan foraying into acting and also about daughter Suhana Khan's inclination towards acting, in an interview with Mumbai Mirror, Shah Rukh Khan stated that his son doesn't want to get into acting. "Neither my son nor my daughter has been groomed to be actors. Suhana has an inclination towards wanting to be an actor. She finishes school in six months after which she will go to an educational institute for three-four years to train in acting," said the Zero actor, reports Mid-Day. Shah Rukh said that Aryan wants to get into filmmaking and not acting. "Aryan doesn't want to be an actor, he wants to make films, become a director, and is training for it in the US." Not only Aryan and Suhana, but he also spoke about his younger one, AbRam Khan. The 51-year-old actor, in jest, said, "I don't know, he's good-looking enough to be a rock star." He also elaborated on how he and wife Gauri Khan as parents have nurtured their three children. "Gauri and I never told our kids that they have to grow up to be actors. People around would say handsome hai, tall hai, body acha hai, but if looks were a criterion, I'd never have been an actor. Genetics too has nothing to do with capability. If I can be of help as someone with 30 years of experience in the field, I will, but I don't think I should because acting is not just a job, it has to be a turn-on every second. It is about how happily, longingly, desperately and crazily you want to act. Don't do it if you only want to wear good clothes, look nice and drive flashy cars. Get into banking then, it's much safer!"